New York Attorney General Erick Schneiderman has announced his resignation just hours after a story published by The New Yorker contained allegations of physical abuse and controlling behavior by several women who had romantic relationships with him. Schneiderman drafted a statement explaining his decision which was published and made official late in the evening on Monday night. The horror show didn’t end there, either. 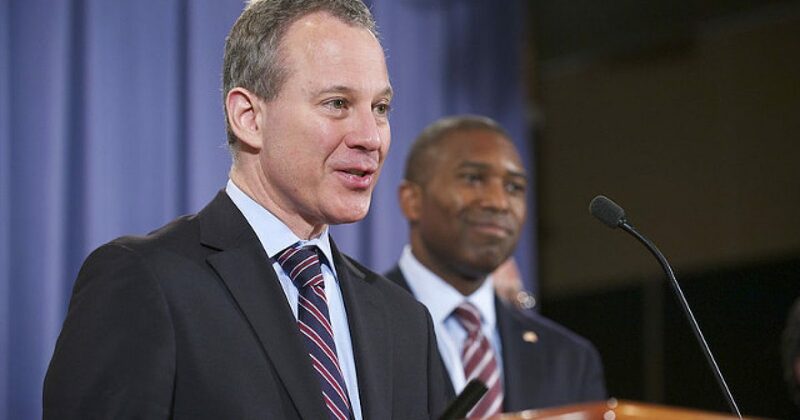 Manning Barish stated that she dated Schneiderman between 2013 and 2015 and began experiencing his disgusting abuse just a few weeks after they became physically intimate. Barish claims she was slapped during those encounters without consent and that Schneiderman constantly made derogatory comments about her looks. She also claimed he would get drunk five nights a week. As you can clearly see, for the vast majority of Democratic politicians, the whole “war on women,” spiel is nothing more than political posturing used to bamboozle an entire segment of the population into voting for the left. The sad part is, for whatever reason, many will overlook such gross behavior in favor of supporting someone who, at least on paper, supports their agenda. Truly tragic.